The Series 65 examination is also known as the Uniform Investment Adviser Law Examination and has the main purpose of testing if candidates are qualified for working as investment adviser representatives. The exam is required if you want to be licensed by a state in order to work with investors. The outline of the exam and study resources was developed by North American Securities Administrators Association or NASAA and cover topics necessary for the students to be able to provide investment advice to clients. All over the US, the examination is administered by FINRA, and to register you need to submit a specific form and pay the examination fee. Once registered, a student has a window of 120 days to schedule the examination. Economic Factors and Business Information (15%) – this section covers basic economic concepts, financial reporting, analytical methods, and risks. Investment Vehicle Characteristics (25%) – covers Cash and Cash Equivalents and their characteristics, Fixed Income Securities and their characteristics, Equity Securities and their characteristics, Pooled Investments, Derivative Securities, and Alternative Investments. 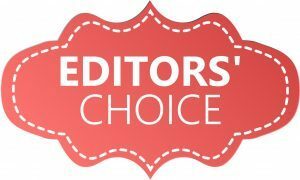 Client Investment Recommendations and Strategies (30%) – you’ll need to know information on client’s profile, Portfolio Management Strategies, retirement plans, and more. Now, in order to get to cram all these in your head, you need to find the best resources and study guides available on the market. This is important, because the topics covered in the exam are not readily available online and they require advanced finance and investment knowledge. You’ll also need advice from professionals and the best resource guides offer you exactly this. 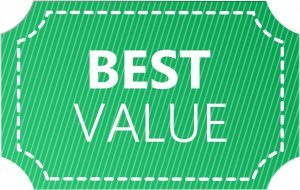 So, if you want to pass the exam with the best possible results, take a look at the study we chose as being the best on the market. This 430-pages guide is specially designed to be easy to read. From the title, the authors tell you the Pass the 65 guide is written in plain English, with comprehensive explanations for all the concepts required by the NASAA outline. Be advised that the examination is not about how good your memory is. This is a competency exam and you will be asked to work with the information you learned at an advanced level. Actually, this is the number 1 cause of failure for first-time candidates – people expect to be asked about terms and vocabulary, when the exam is a lot deeper than that. This is also why the Pass the 65 guide made it its mission to make sure students understand and remember the information explained. For this, the guide also comes with the Practice Exam Question Bank (must be purchased online as a separate book), a notebook that contains over 1000 practice questions formulated just like the ones for the actual exam. We like the fact that there are no trick questions, but questions that will help understand the information at a deeper level. You’ll also learn how to eliminate incorrect choices – a skill extremely helpful on the day of the exam. Students also receive advice and tips that are helpful in increasing the effectiveness of the learning process. Finally, they manage to cover every aspect of the exam but they avoid fillers that tend to show up in other study guides on the market. 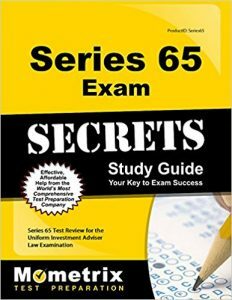 The Series 65 Exam Secrets Study Guide comes with easy to read summaries that help you get the most important aspects (key areas) for the test. However, you should know that this 132-pages guide doesn’t manage to cover everything in-depth so you might miss a few important things. As you can see, the guide covers the critical information required for the exam such as procedures, concepts, principles, and the vocabulary a candidate to the Series 65 examination must master. We like that every piece of information is well-explained (not just described). Also, the general content structure follows a logical path and, students are not in danger of getting lost in a dense academic language. Everything is easy to read. Finally, the guide comes with one practice test that helps you make an assessment of your current level of preparedness for the actual exam. The Wiley FINRA Series 65 Exam Review Guide is considered the go-to resource for acing this exam. In 516 pages, this guide comes with in-depth reviews for all the key areas of the exam such as investment strategies, legal and ethical guidelines, analysis, economics, and investment vehicles. 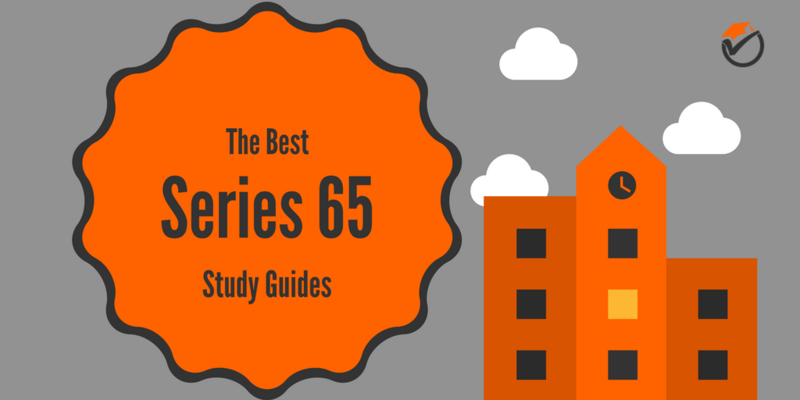 The Wiley Series 65 Exam Review is authored by experts working at The Securities Institute of America and it offers just the right information for the exam. It also comes with lots of real-life examples that put into practice the theoretical knowledge, a test bank with 350 practice questions for each topic required by the exam, tips on how to take the test and strategies to help you get the best results possible. Finally, the guide also offers hints on how to study to make sure you reach the maximum retention rate and how to stay focused and manage your anxiety just before the test. On the downside, you’ll notice that the structure of the guide is not that well-designed and the content comes with lots of errors that are misleading in some cases. Still, in spite of these problems, the Wiley FINRA Series 65 Exam Review 2017 is one of the most recommended resources for the Series 65 exam. Rich in practice questions and topic outlines, this Series 65 Practice Exams Study Guide, is quite useful in your study toolkit. The resource comes with a study guide where the information is outlined to allow students to get an easier grasp on the complex concepts required for the Uniform Investment Adviser Law Examination. This way of organizing the content allows students to learn faster and increases retention rate. One aspect we liked about this guide is the fact that there are comprehensive details on the math formulas needed for the test. The second part of this 590-pages guide is a series of twelve practice exams with over 1500 practice questions (multiple choices, with 4 choices and one correct answer). The questions are specially designed to follow the format of the questions used in the Series 65 examination to help students get into the same atmosphere. Each of the twelve practice exams is followed by the answer key and then the answers are explained in-depth. The practice exams also follow the same topic proportion as specified by the outline form. On the downside, we have to mention that the McCaulay Series 65 Practice Exams and Study Guide comes with a lot of extra information that is not required by the NASAA outline. While this is a good way to get more in-depth information on the world of investments, this may also be an unnecessary burden for first-time test-takers. As you can deduce from the title, this 60-pages guide only comes with over 250 practice questions. This aspect makes it one of the best resources for people who want to test their knowledge and see if they are indeed prepared for the real Series 65 examination. According to the author, if you’ve never take a Series 65 practice test, you are not actually prepared for the real test. Such practice questions are important to prepare students for the type of exam and help them time the answers (which is a very important aspect even though the exam takes 3 hours). The best way to assess your level of knowledge is to take these tests and mark down the areas where you struggle. This way you have an exact assessment of your weak points and you know the areas where you need to put in more work. Another positive aspect towards this guide: it comes with explained answers. Each question comes with an explanation, highlighting the correct answer and explaining why the others are not considered correct. This gives students the opportunity to avoid making the same mistakes while taking the actual test. 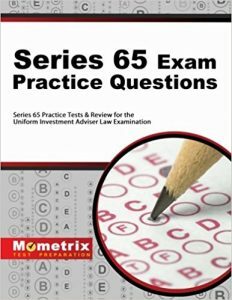 Overall, the Series 65 Exam Practice Questions is a helpful guide that must be in your resource kit when you’re preparing to take the Uniform Investment Adviser Law Examination. The Uniform Investment Adviser Law Examination is a difficult exam and it will require a lot of focus and determination to ace it. Still, with the right resources, you are one step closer to becoming an investment adviser representative so don’t let the amount of work required discourage you. 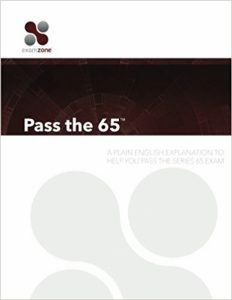 For people who take the exam for the first time and don’t have any prior knowledge in the field, we recommend the ‘Pass the 65: A Plain English Explanation Guide’. It is comprehensive and comes with great explanations and a lot of practice questions. For those of you who are already familiar with the field, the ‘Series 65 Exam Secrets Study Guide’ may be a better pick. The information is outlined and easy to read and retain. 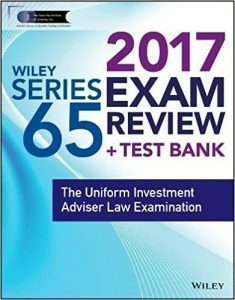 For a more up to date version, the ‘Wiley FINRA Series 65 Exam Review 2017’ is a great choice. This guide also comes with real-life examples that allow students to apply the theory into practice. 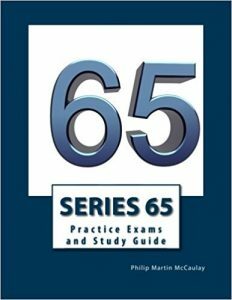 Finally, the ‘Series 65 Practice Exams and Study Guide’ and the ‘Series 65 Exam Practice Questions’ are great for assessing your knowledge and identifying any weak points in your preparedness. Practice questions play an important role in your study for this exam so make sure to not ignore them. Overall, the resources for the Series 65 examination are not expensive and anyone willing to try can afford to buy the right resources to properly prepare for the exam. 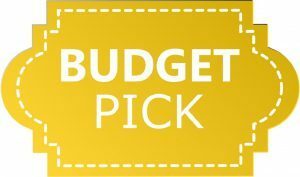 However, if you are on a budget, a combination of the ‘Pass the 65: A Plain English Explanation’ and the ‘Series 65 Exam Practice Questions’ is enough to get you ready for the exam.